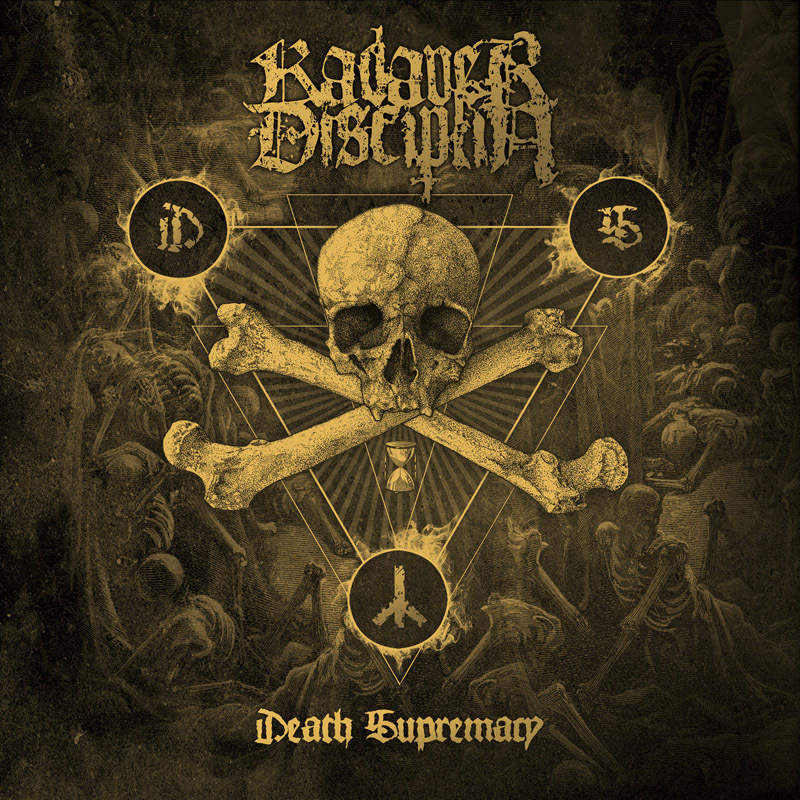 Kadaverdisciplin was formed in Sweden, 2014 when guitarists Antti Kurvinen and Pelle Fransson (Zombified) joined forces with vocalist Jimmie Nyhlén (Blodsrit), all three originating from Västervik. Later on they recruited drummer Fredrik Widigs (Marduk, The Ugly) to complete the lineup. The songwriting process began with the aim to create modern black metal far superior to other contemporary bands in the genre. The focus lies on fast, straight-forward, aggressive, yet memorable songs with roots in traditional Scandinavian 90’s black metal, lyrically inspiried by death, darkness and destruction. The first single “Mother of Defeat” (mixed by Devo, Marduk) was released digitally in June 2015. Expect nothing but the blackest of the black!